In April the liberal media cried crocodile tears over illegal alien Juan Manuel Montes. Montes said he was the first “protected DREAMER” deported under the Donald Trump regime. However the US Border Patrol presented an entirely different story. Montes was arrested in the US after he CLIMBED A FENCE to enter the country. The liberal Trump-hating media didn’t care. They ran their stories against President Trump anyway. 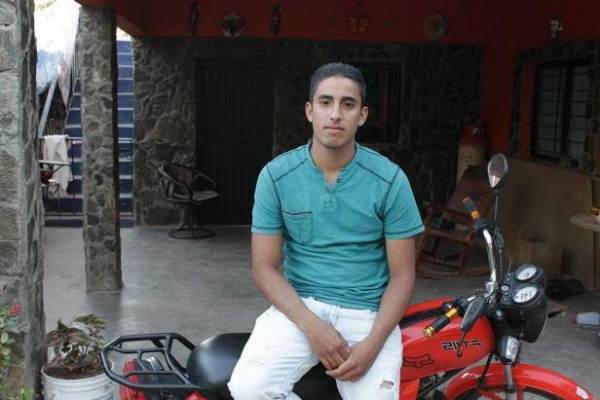 On Monday Juan Manuel Montes was captured again entering the US illegally. And, once again, he was captured by Border Security entering the US illegally at the Calexico crossing. A man who claimed to be the first “Dreamer” to be deported under the Trump administration was arrested again for attempting to return to the U.S. for the second time this year, authorities said Wednesday. Juan Manuel Montes, 23, was taken into custody near Calexico, Calif., for illegally re-entering the U.S. late Monday night, the U.S. Border Patrol said. Montes was spotted by agents just north of a border fence, and allegedly ran from them for about 200 yards before lying down. He then attempted to get up again and run, but was quickly caught, the Border Patrol said. Montes was booked into the Imperial County Jail and faces a felony charge that could land him in jail for two years, according to USA Today. Montes’ lawyers have claimed that their client was the first-known participant in the Deferred Action for Childhood Arrivals program to be deported under President Trump. The U.S. has denied that, saying that Montes left the country voluntarily causing him to lose his protected status under the DACA program. Montes, who came to the United States when he was nine, has a cognitive disability that likely stems from a childhood brain injury, according to his lawyers.